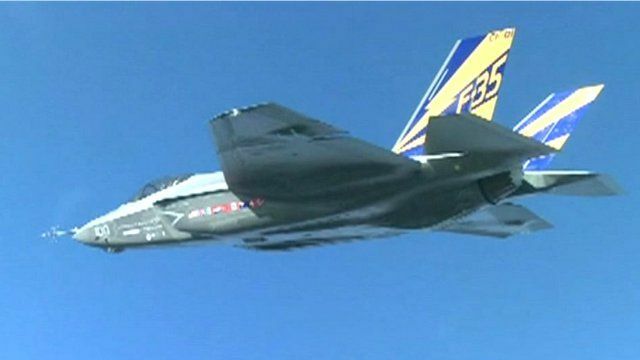 US grounds entire F-35 jet fleet Jump to media player The US has grounded its entire fleet of 51 F-35 fighter jets after the discovery of a cracked engine blade. Inside the F-35 Joint Strike Fighter Jump to media player The BBC has been given exclusive access to film the world's most advanced fighter jet - the F-35 Joint Strike Fighter, built by Lockheed Martin for the US and UK military. The US has grounded its entire fleet of 51 F-35 fighter jets after the discovery of a cracked engine blade. 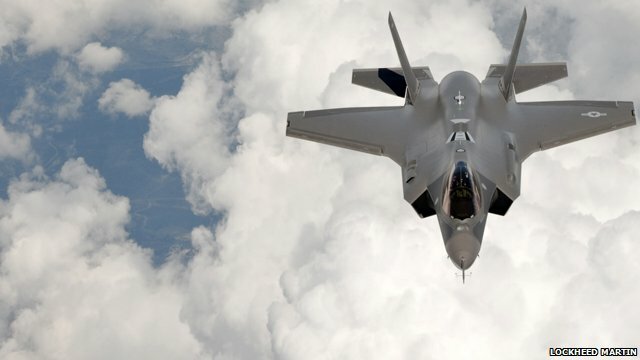 The fault was detected during a routine inspection of an air force version of the jet (F-35A) at Edwards Air Force Base in California, said the Pentagon. Different versions are flown by the navy and the marine corps. All have been grounded. This is the latest in a series of setbacks which have delayed production and caused costs to skyrocket, as Lucas de Yong reports.